What Indie Games Day loves about app stores is that they level out the playing field and deliver us the indies and the big wigs all in one place. In fact, we've found that most of the apps we love and cherish have been developed by indie developers. This development was also noticed by Apple Inc. as well and they decided to set up a different section featuring the best indie games apps on the market. This move was done in order to celebrate the creative minds behind indie games that were able to make the most of their limited resources and deliver the best apps. While the showcase will rotate on a regular basis, it kicked off with some really cool apps. 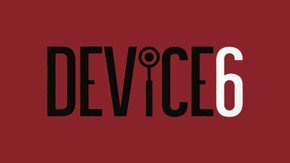 Device 6 is surely one of the most interesting games in the Apple store. An extremely intriguing story of thrill and espionage, it demands that you keep your eyes and ears open at all times. An amnesiac protagonist and a mysterious man in a bowler hat are a definite recipe for app store success. This is definitely one of the best indie games apps for iOS. Yet another Simogo game; it seems that these indie developers just can't fail. As is typical of Simogo, this one too has a unique story to go with the game play. As the protagonist, you will find yourself walking through a world where supernatural elements provide you with an aura that has never been seen before. Strange creatures and cryptic puzzles in the mysterious era of 19th century Sweden already make the game extremely intriguing to history buffs like us and could easily have made it into our list of all-time best games. At first sight, it'll seem like just another simple leisure game but once you delve in, you'll realize the whirlpool you have stepped into. You are pitted against the clock and have to organize the critters according to categories. While the controls are fairly simple with left and right actions, your brain will feel like it just ran a marathon. All this is delivered from just a single application.